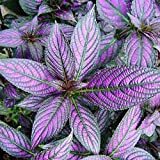 Persian shield for sale – Easy plant to grow, mostly grown for the ornamental leaves and for the flowers, planting in spring to summer, better to buy plant or another option to start from seeds. 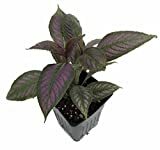 Growing information: perennial or annual plant, growing hardiness zone: 9+, but mostly grown as house plant, water needed – small to average amount, light conditions – full sun to partial shade to full shade, height: 0.3-1m, 1-3 feet. Blooming in the spring to summer in cone shaped flowers that appear in purple color. Persian shield for sale – What need to know before buying Persian shield? How to propagate Persian shield? What is the best way to propagate Persian shield? Propagating Persian shield can be from cutting or seeds. The best way to propagate Persian shield is depend on the demands if you want specific cultivars better to use cutting, if you don’t mind sowing it’s easy.